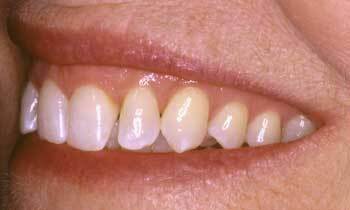 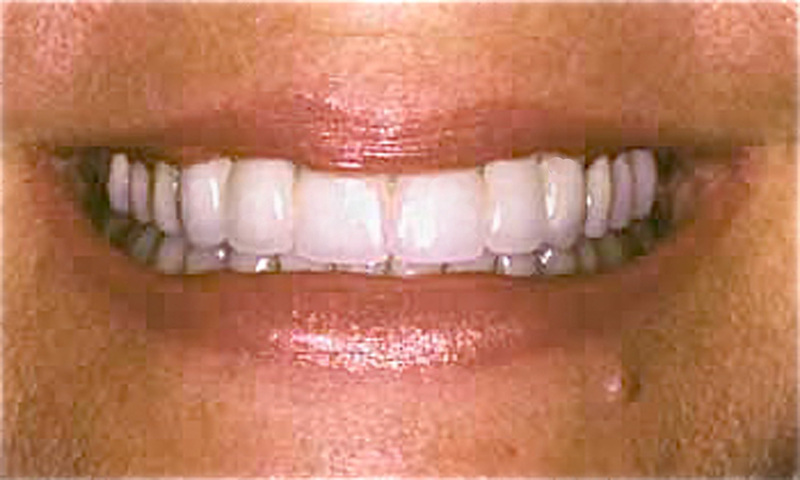 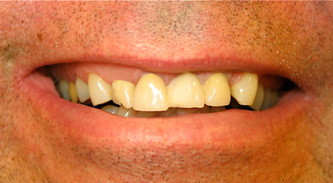 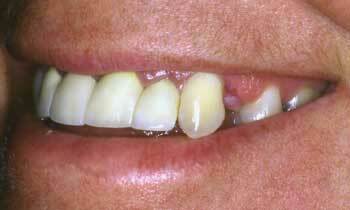 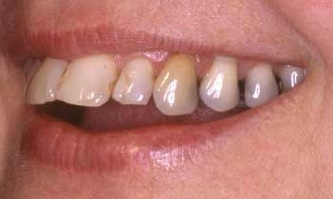 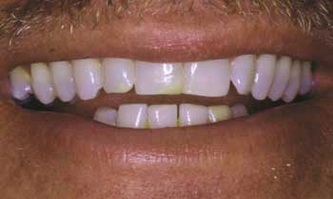 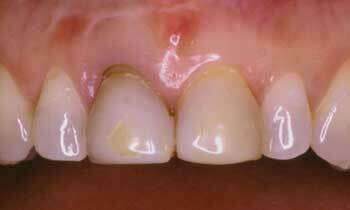 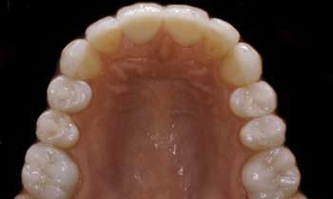 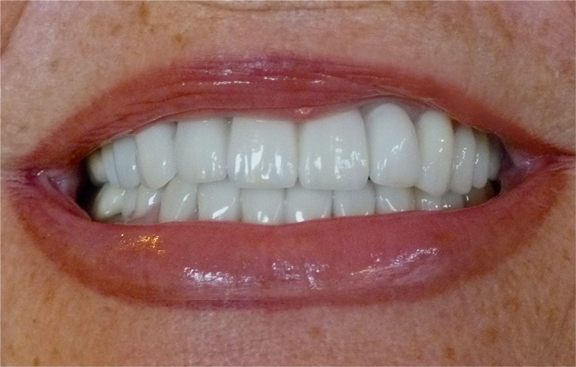 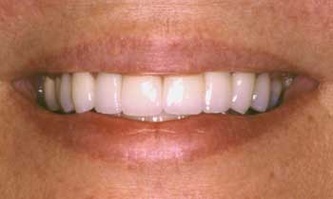 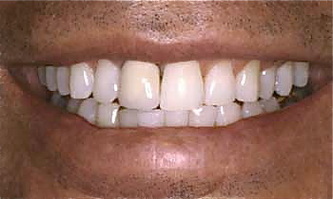 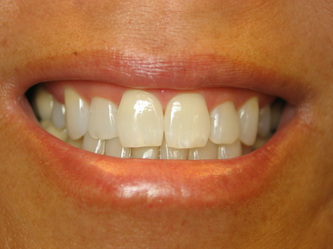 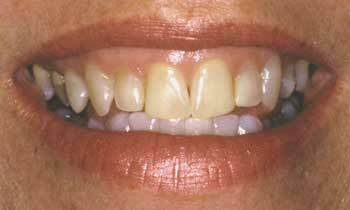 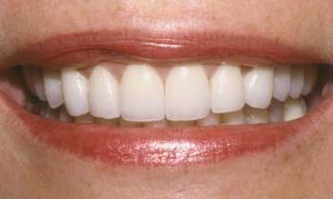 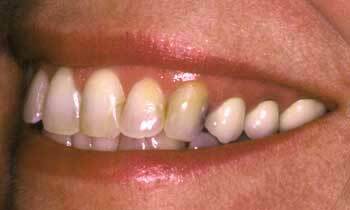 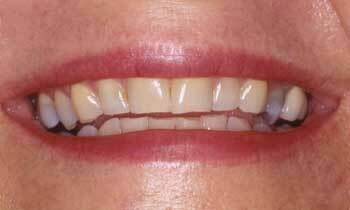 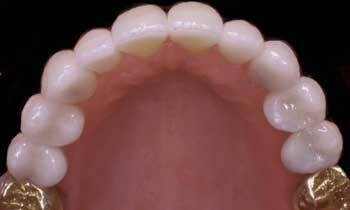 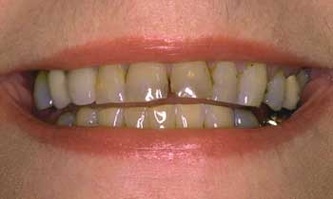 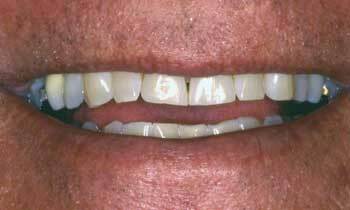 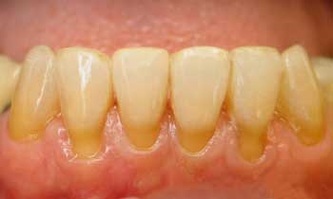 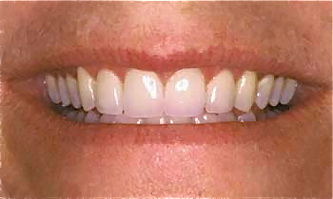 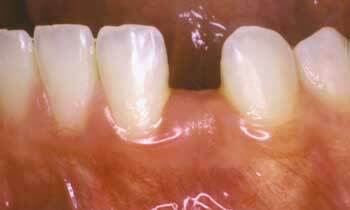 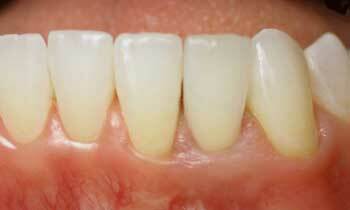 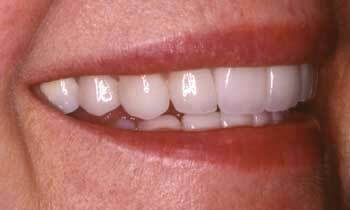 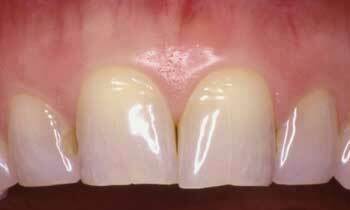 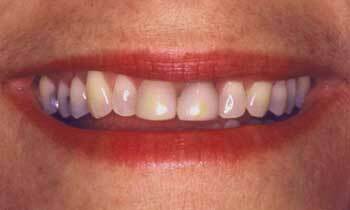 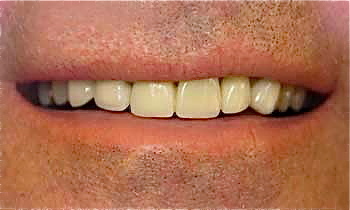 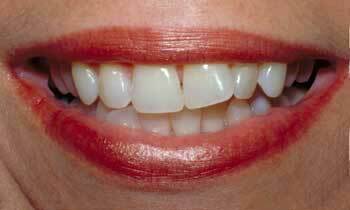 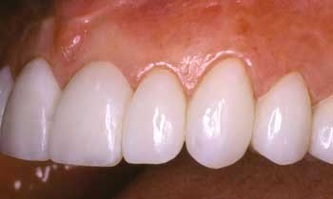 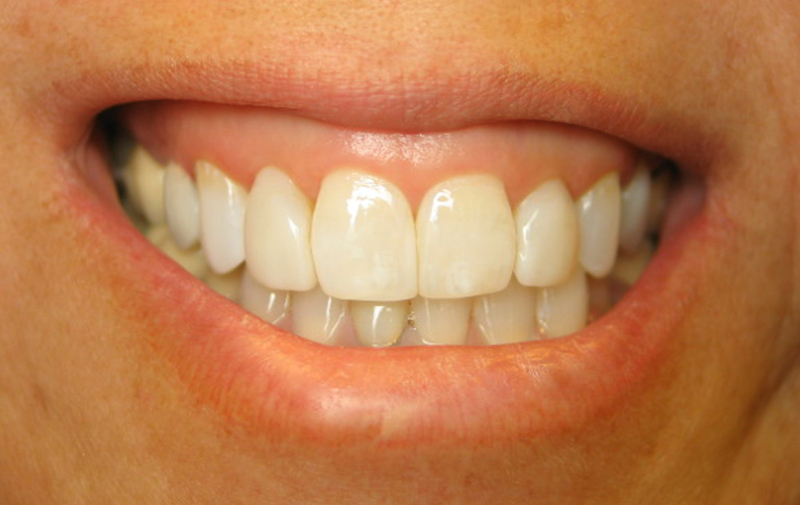 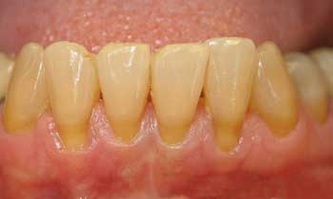 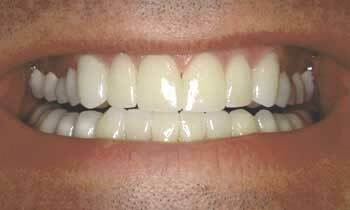 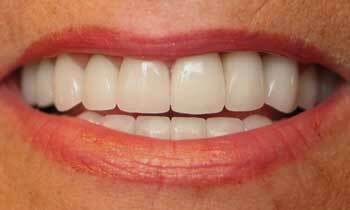 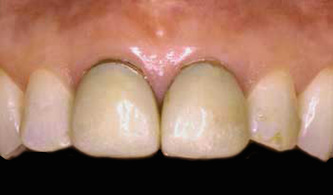 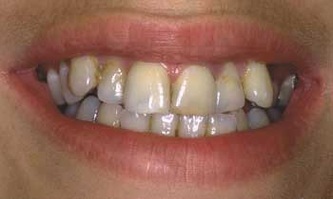 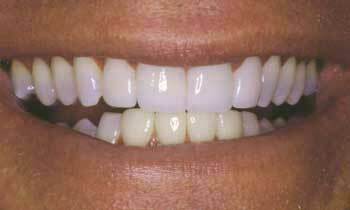 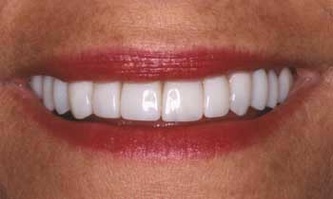 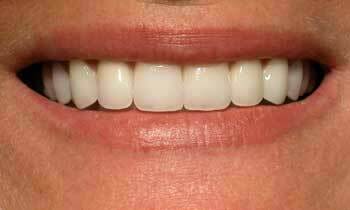 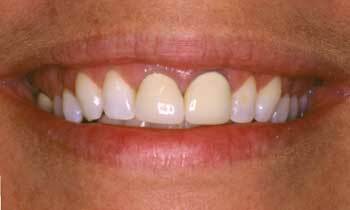 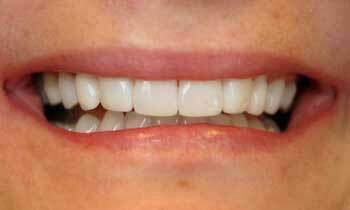 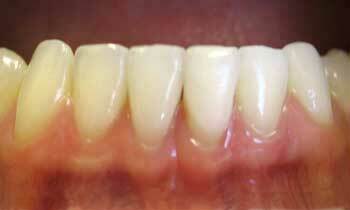 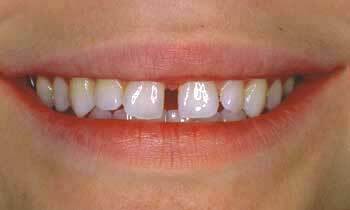 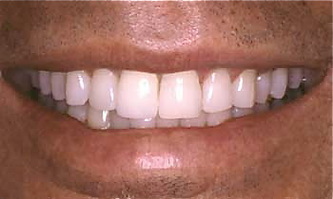 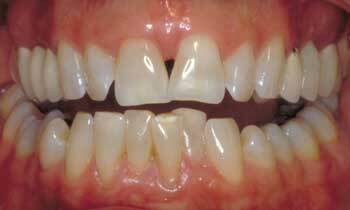 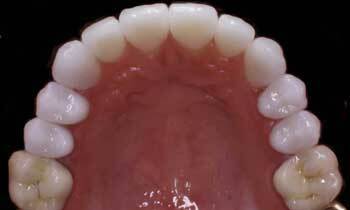 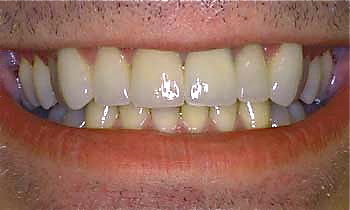 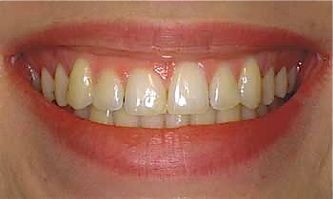 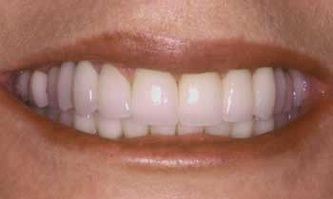 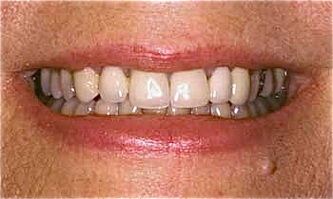 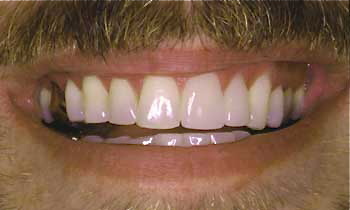 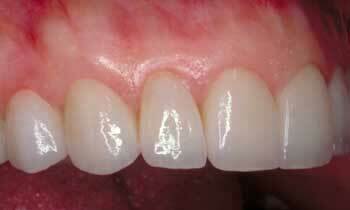 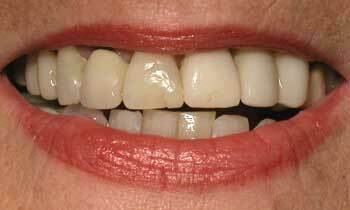 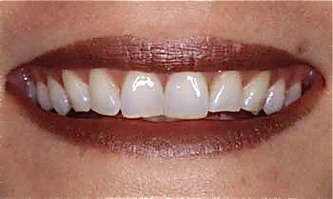 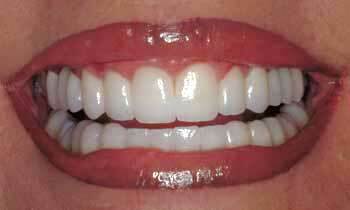 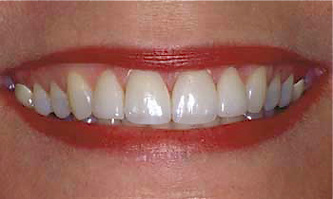 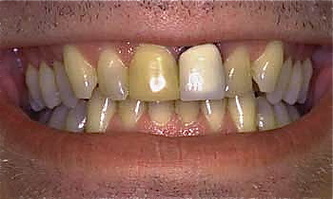 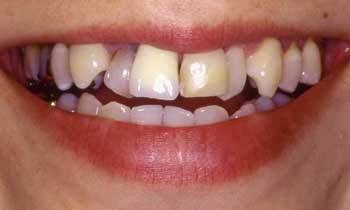 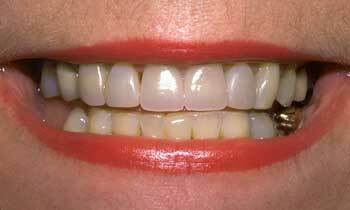 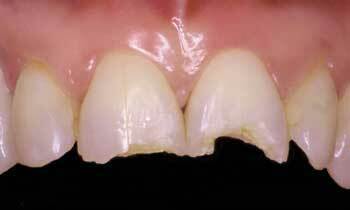 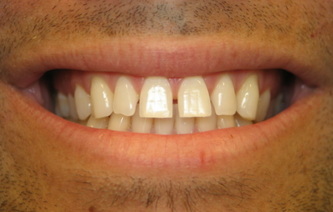 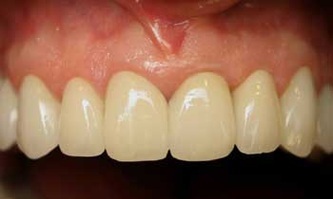 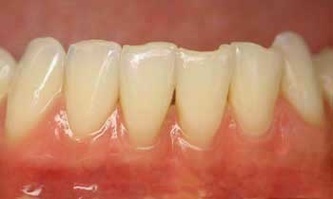 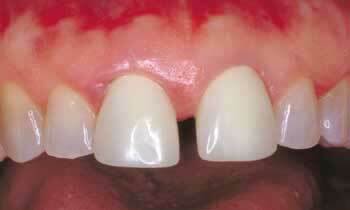 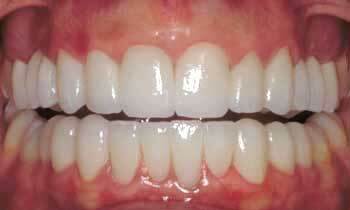 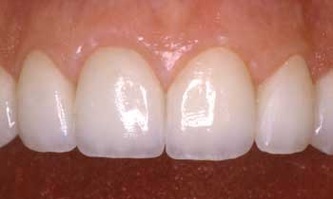 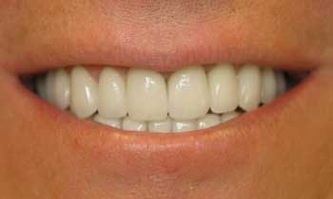 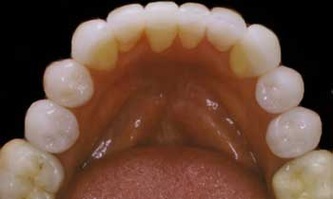 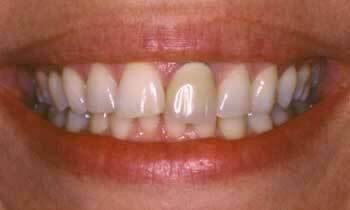 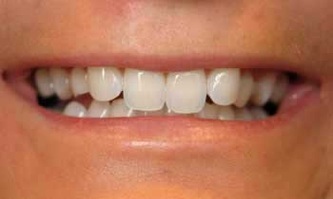 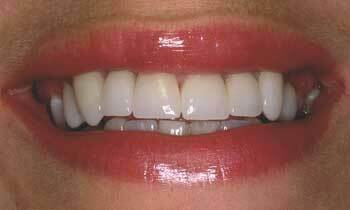 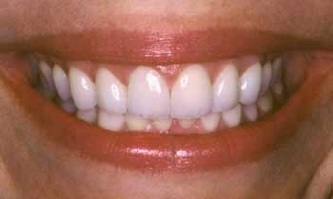 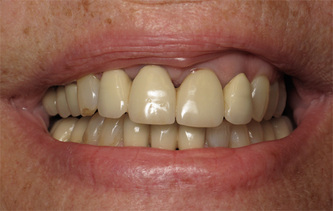 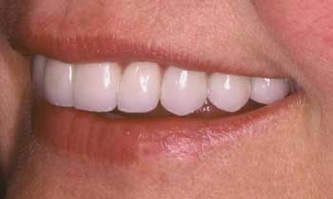 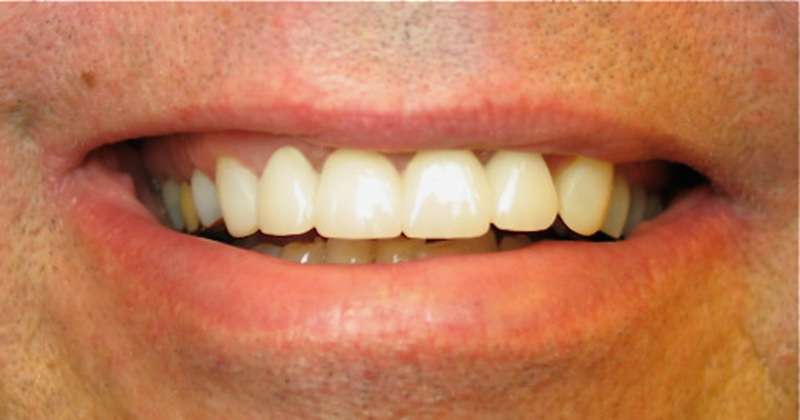 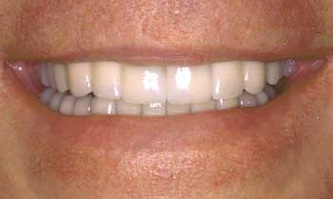 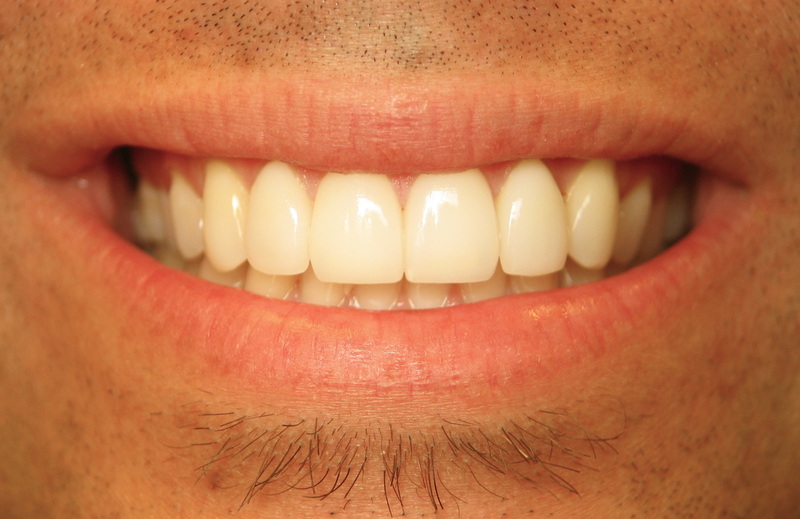 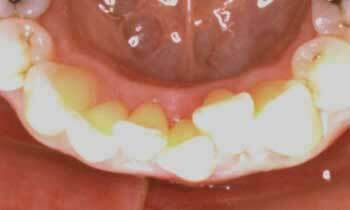 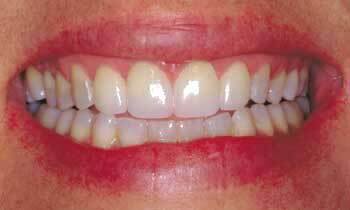 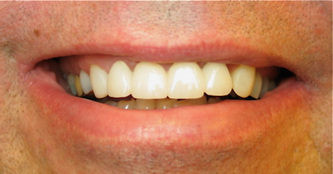 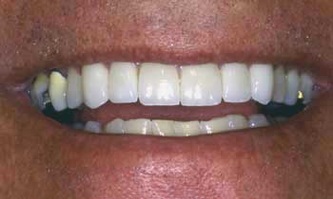 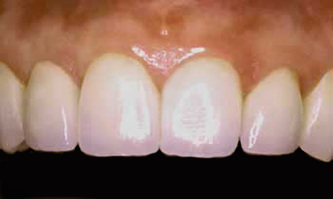 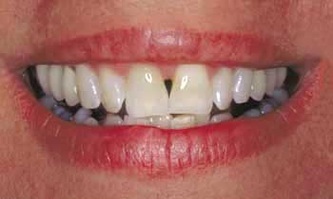 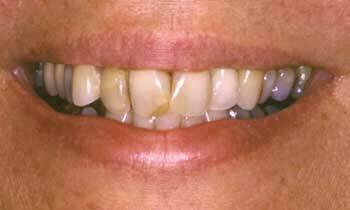 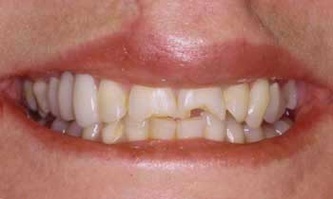 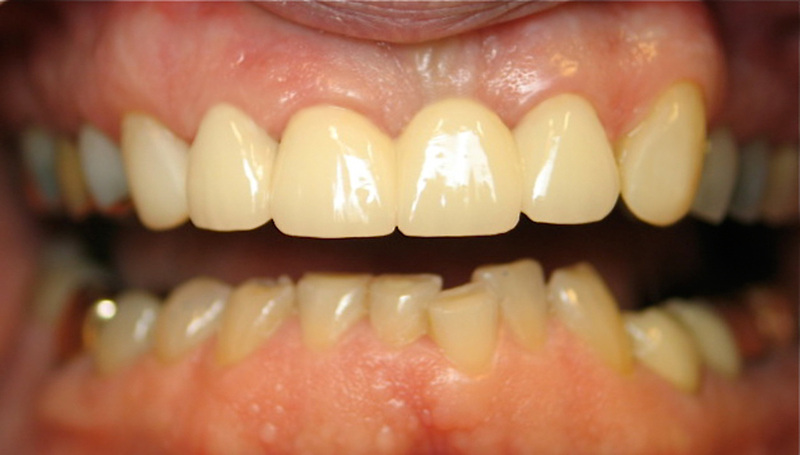 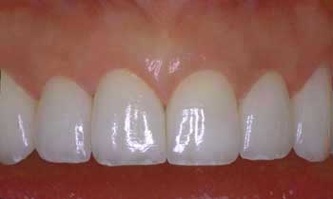 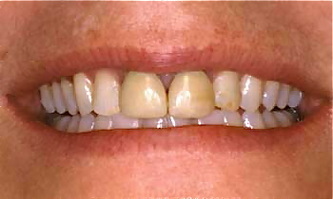 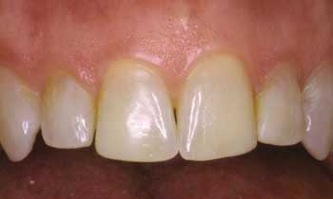 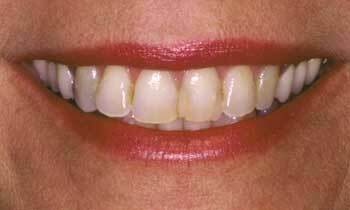 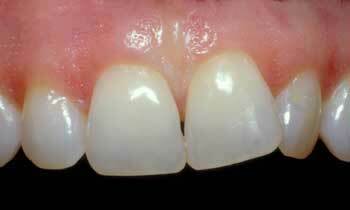 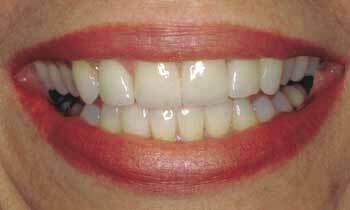 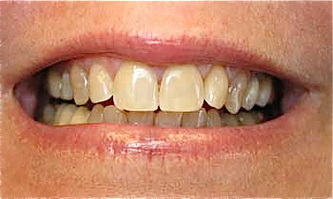 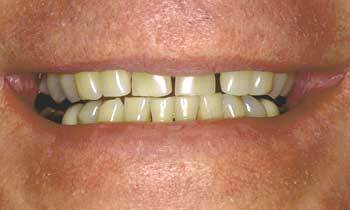 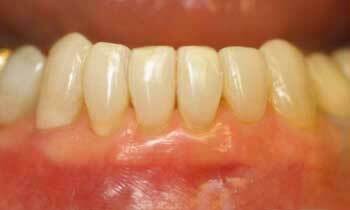 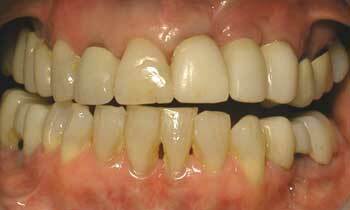 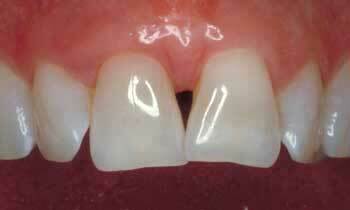 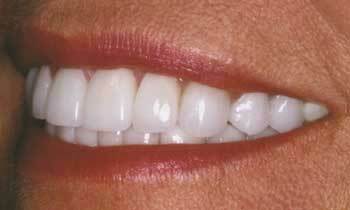 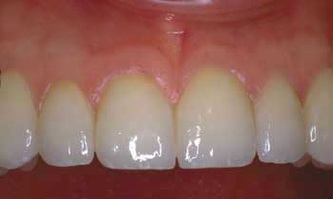 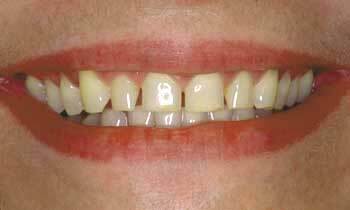 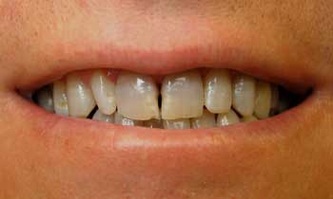 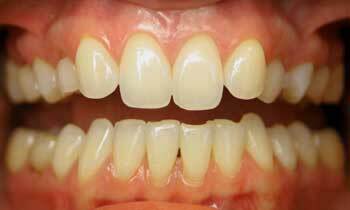 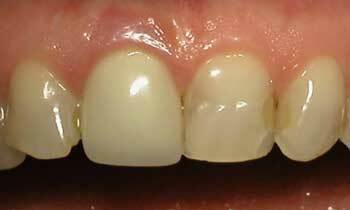 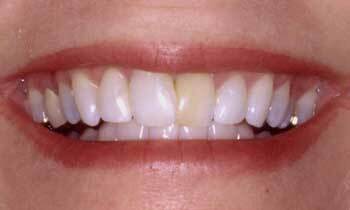 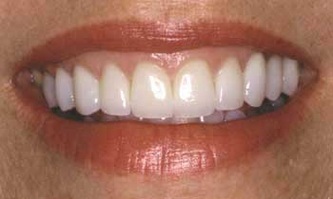 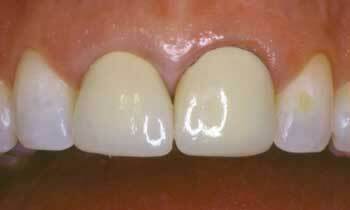 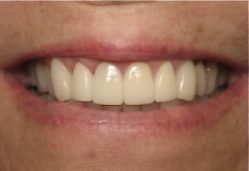 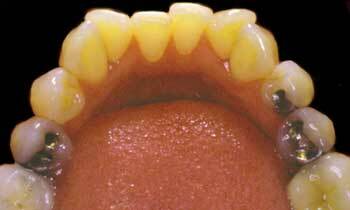 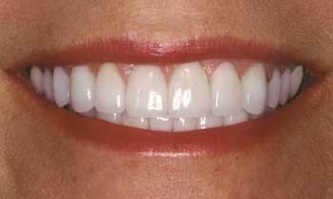 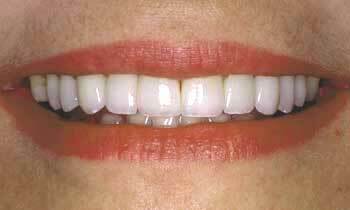 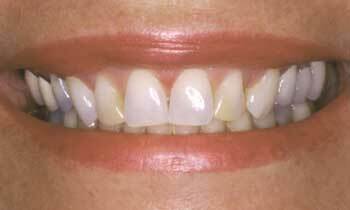 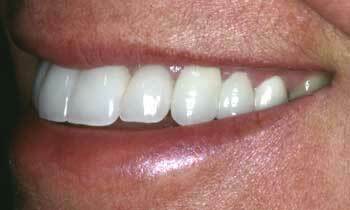 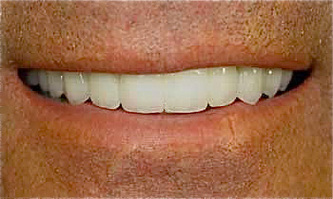 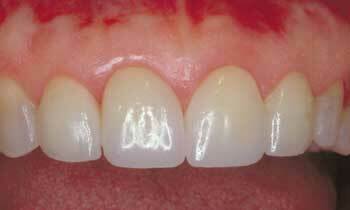 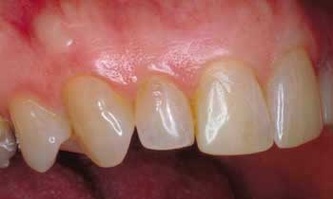 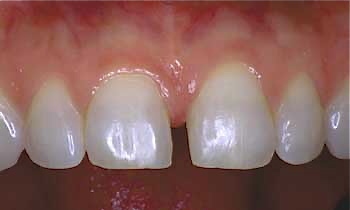 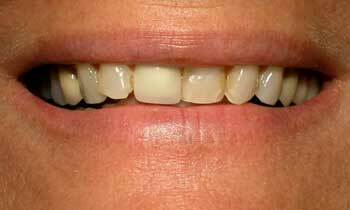 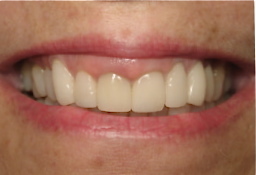 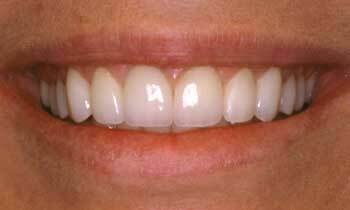 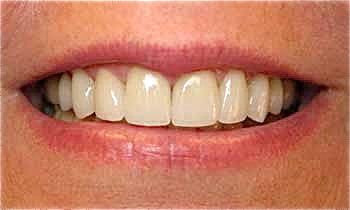 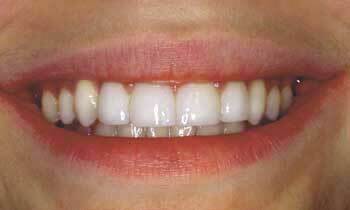 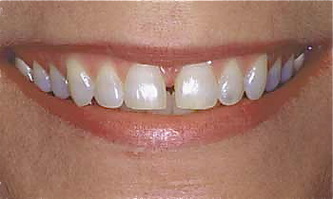 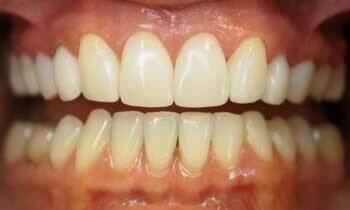 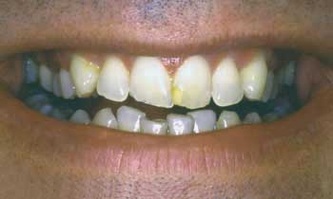 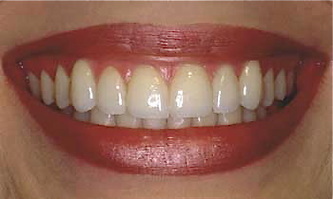 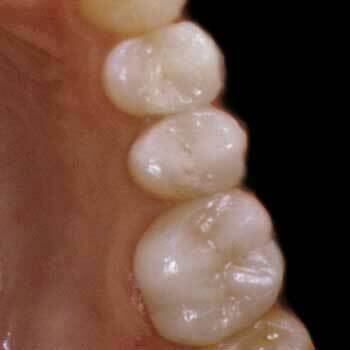 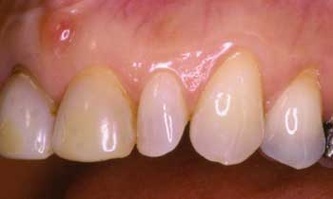 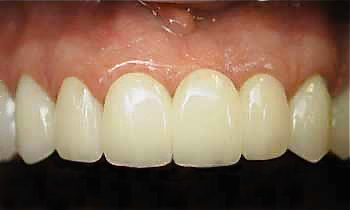 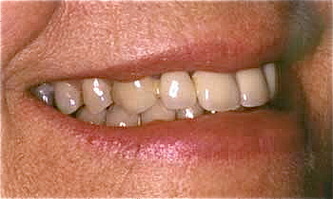 Case Study 8: Widening the smile with porcelain veneers and restoring the smilw to a more youthful appearance. 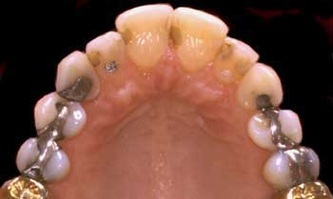 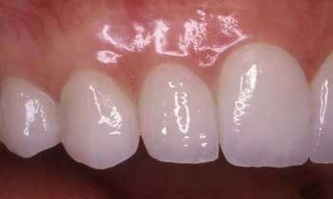 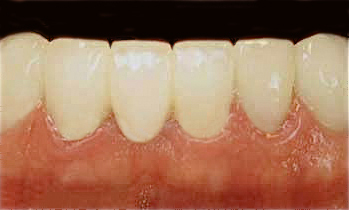 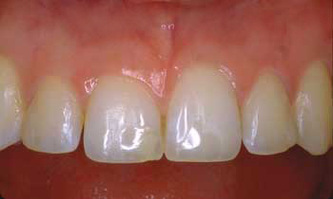 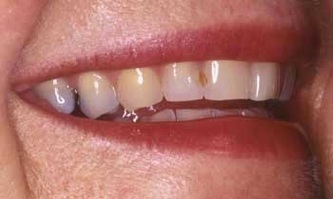 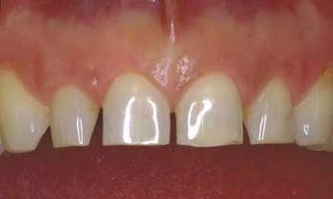 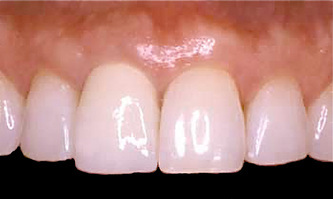 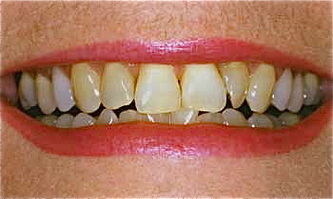 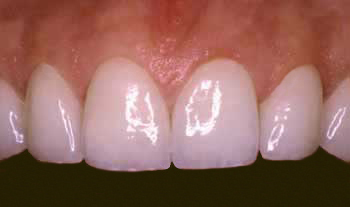 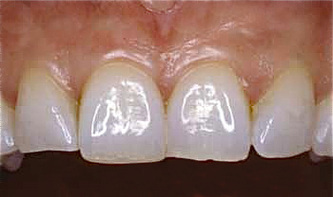 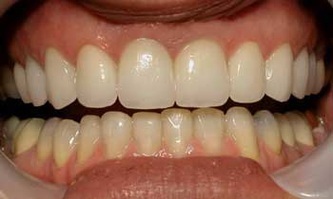 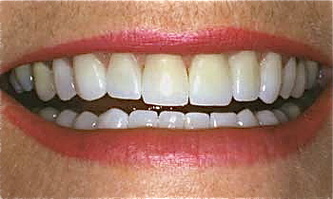 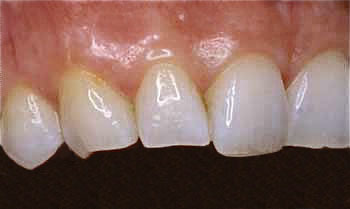 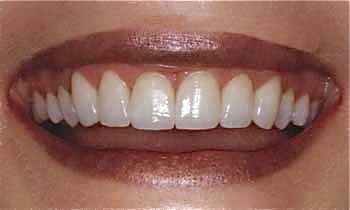 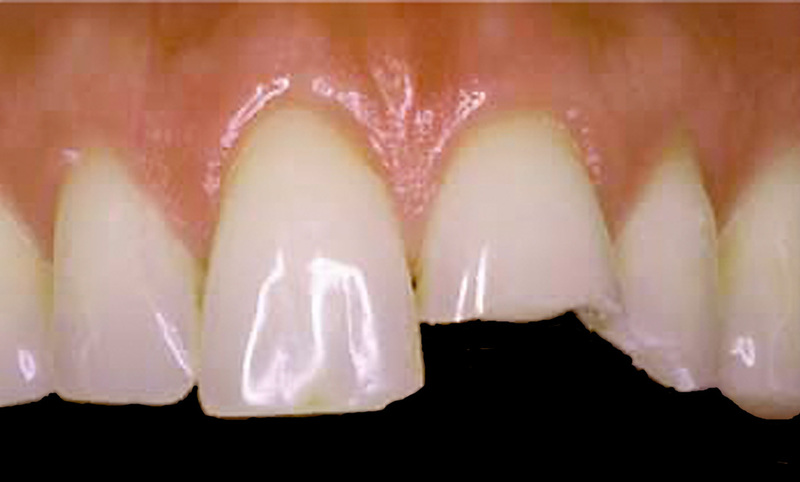 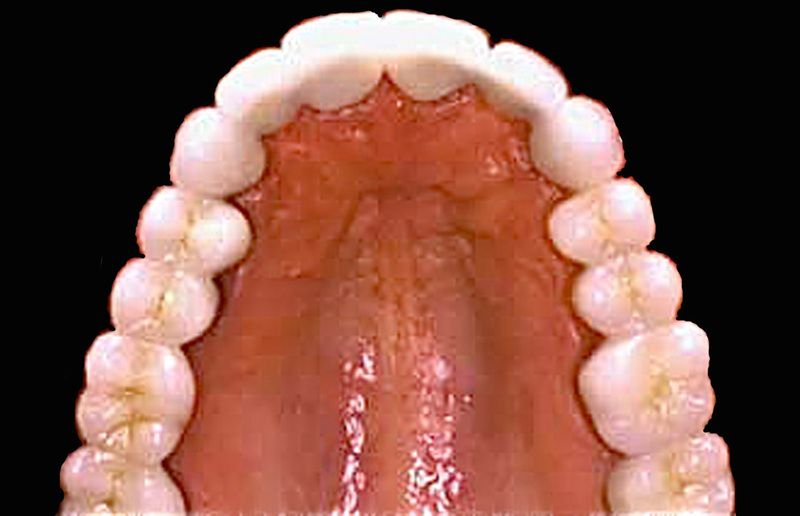 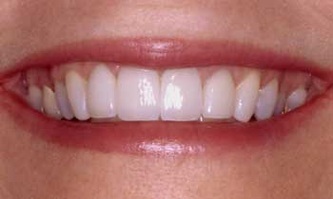 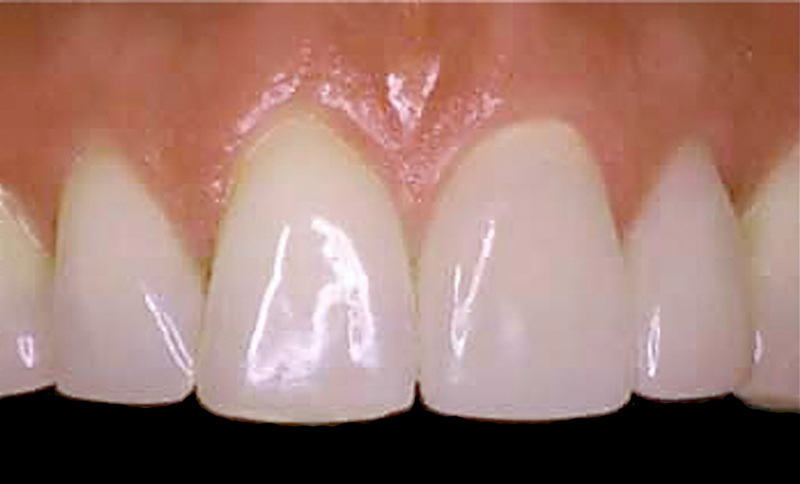 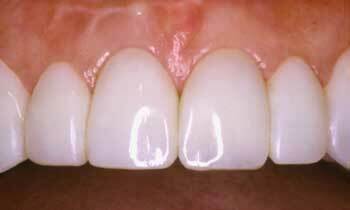 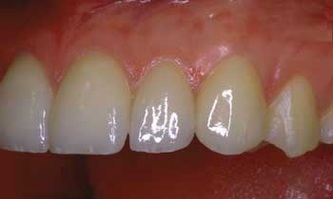 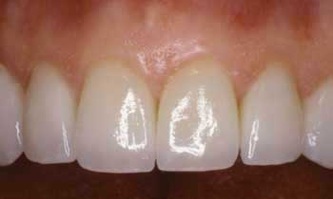 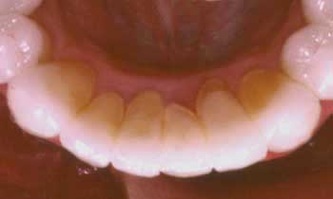 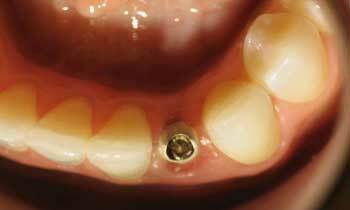 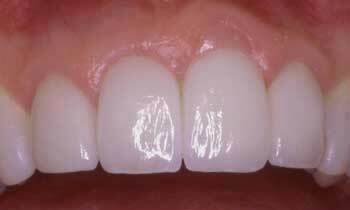 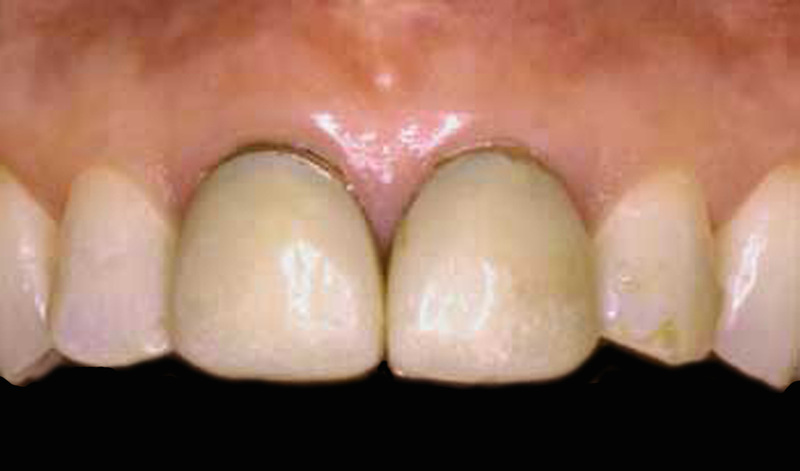 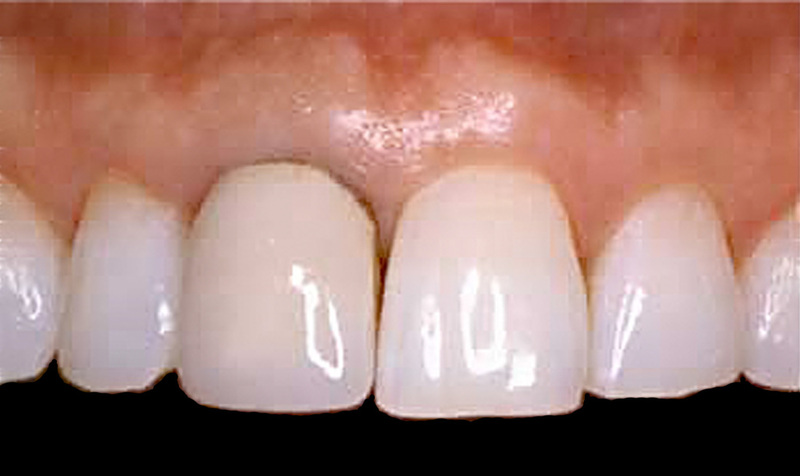 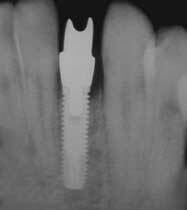 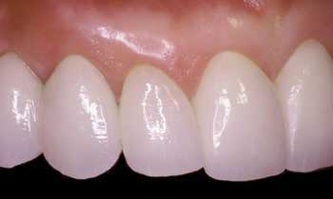 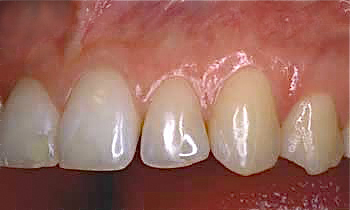 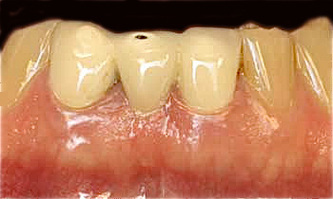 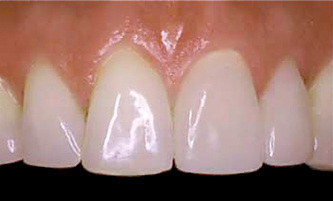 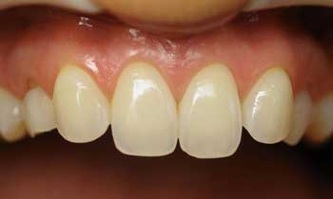 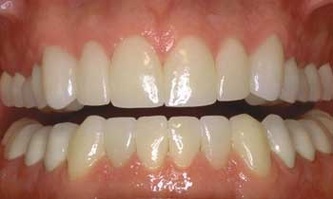 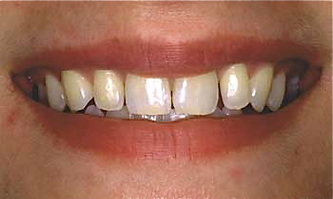 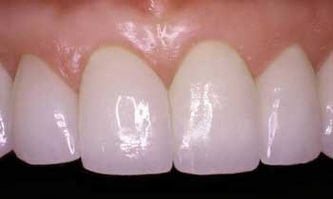 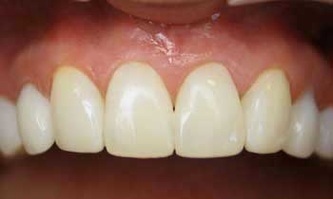 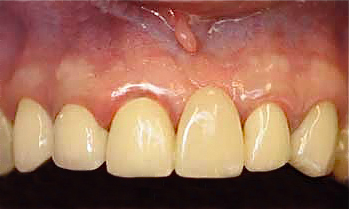 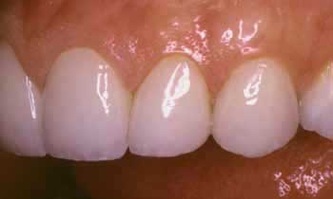 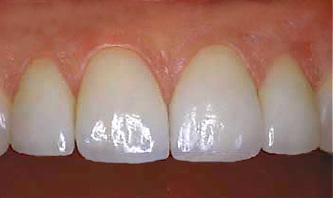 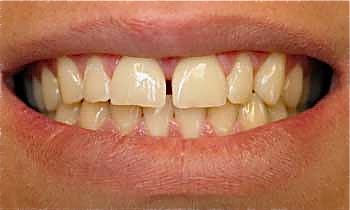 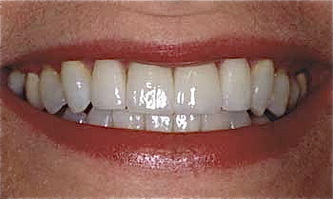 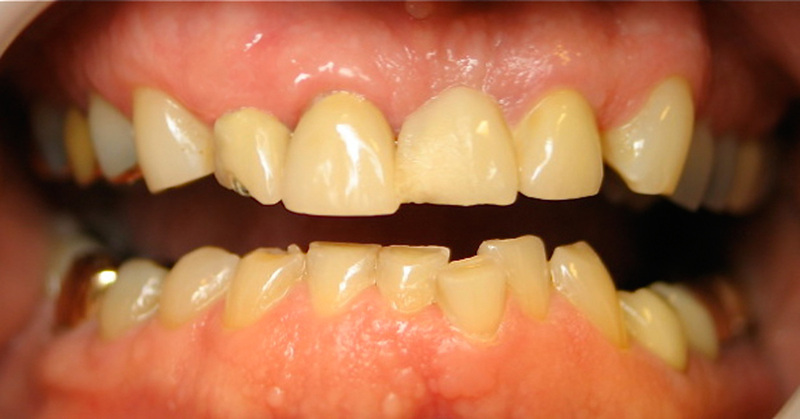 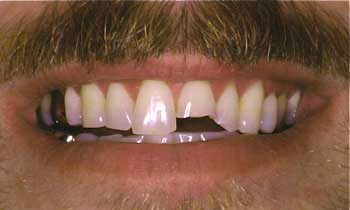 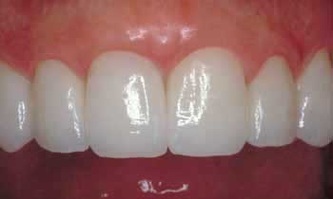 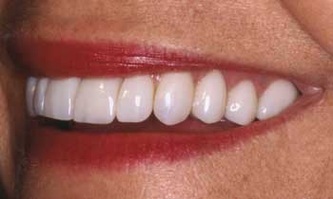 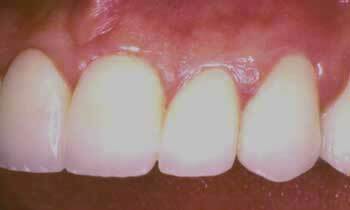 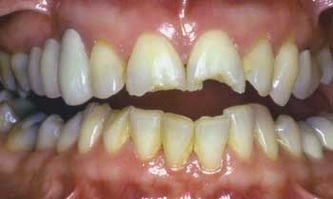 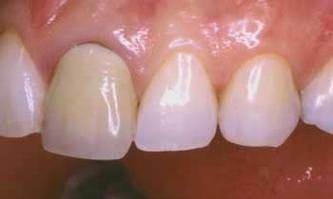 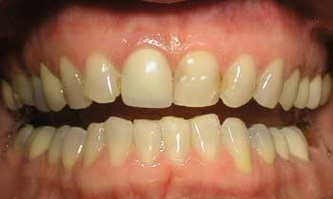 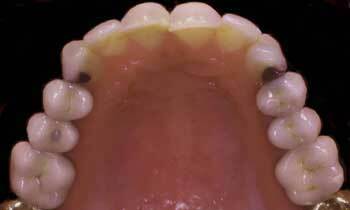 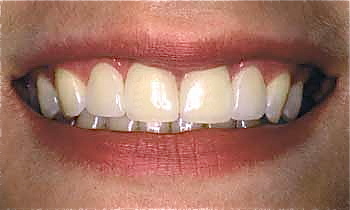 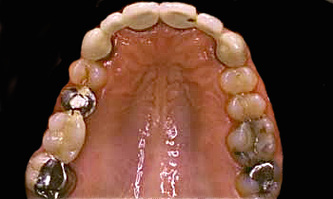 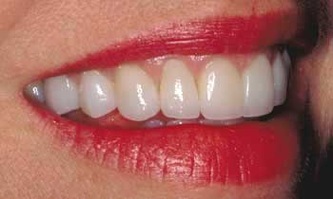 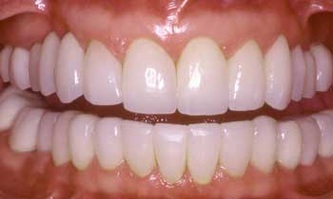 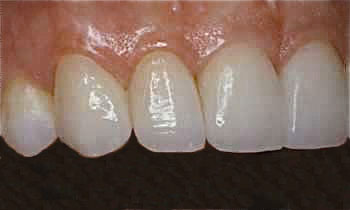 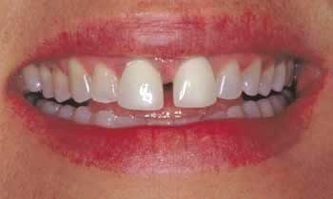 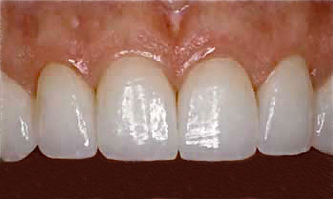 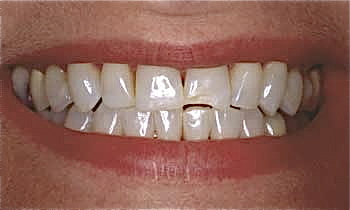 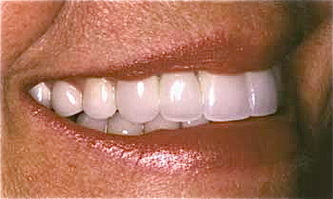 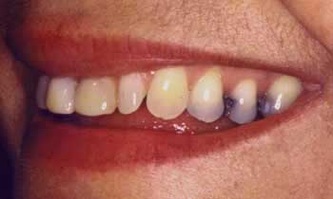 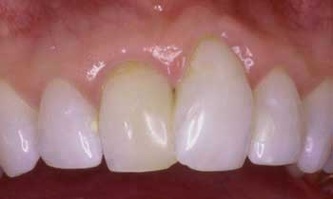 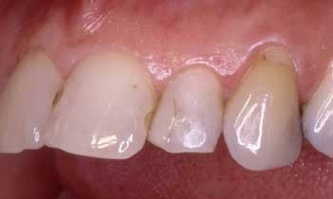 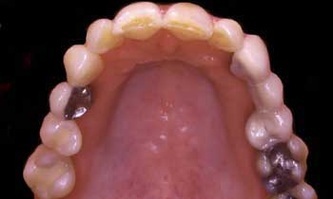 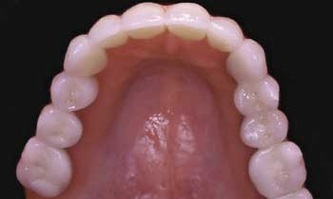 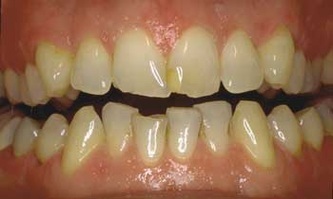 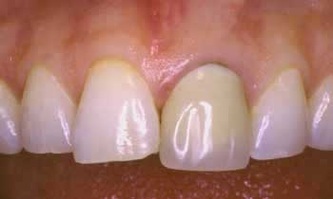 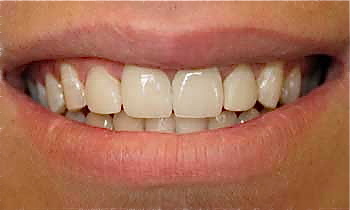 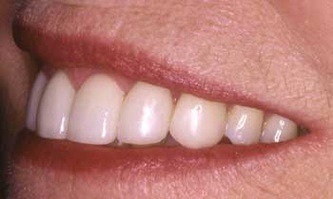 Enameloplasty is a very conservative technique used to reshape chipped and slghtly crooked teeth in one appointment. 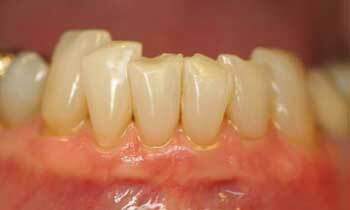 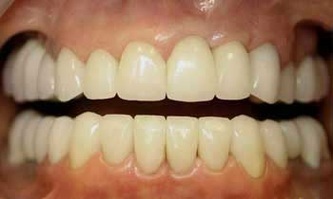 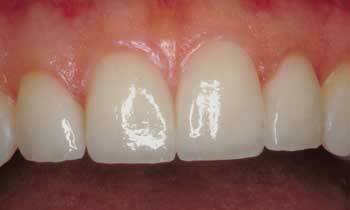 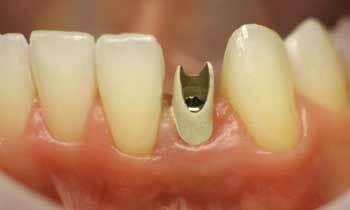 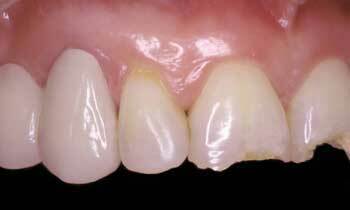 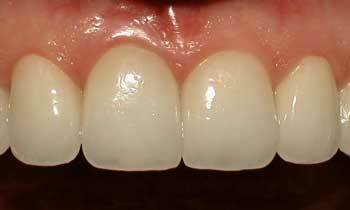 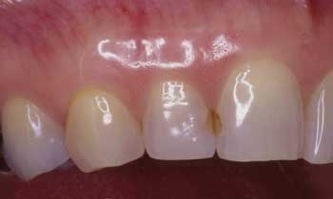 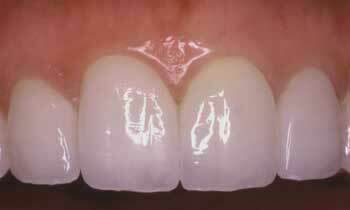 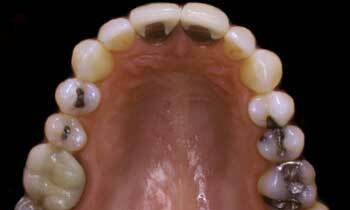 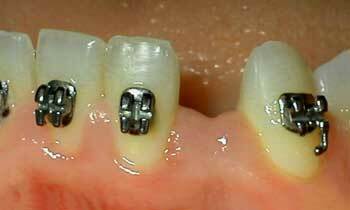 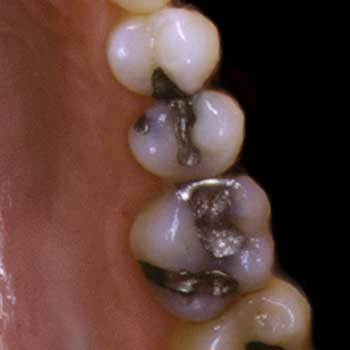 By utilizing artistic and creative abliity the dentist can reshape enamel to give you a much more attractive and proportionate appearance; without bonding or extensive dentistry. 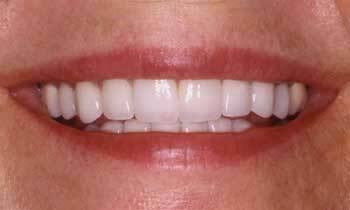 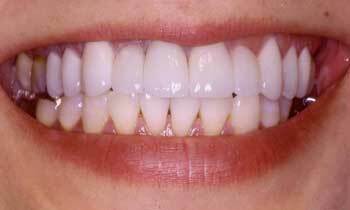 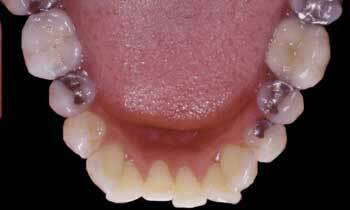 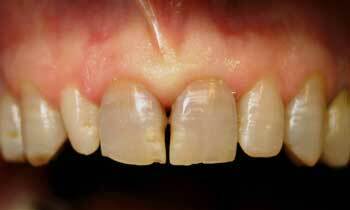 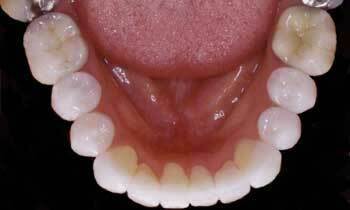 This procedure is used very often on lower front teeth in combination with tooth whitening and porcelain veneers on upper front teeth.